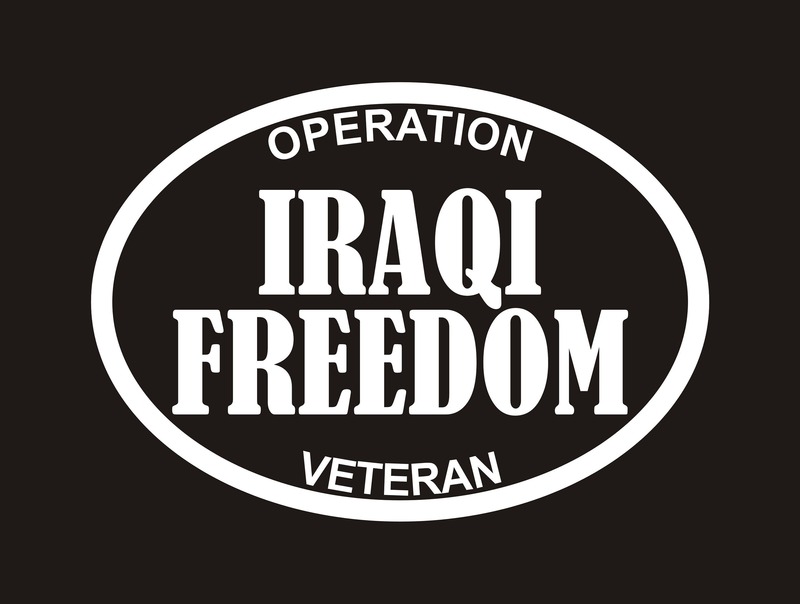 Iraqi Freedom- I served vinyl decal: Thank you to all veterans for what you have done and where you have served. Show your pride and let everyone know where you have been......for us! Thank you! We use only high quality outdoor vinyl. Will adhere to any clean, smooth surface. 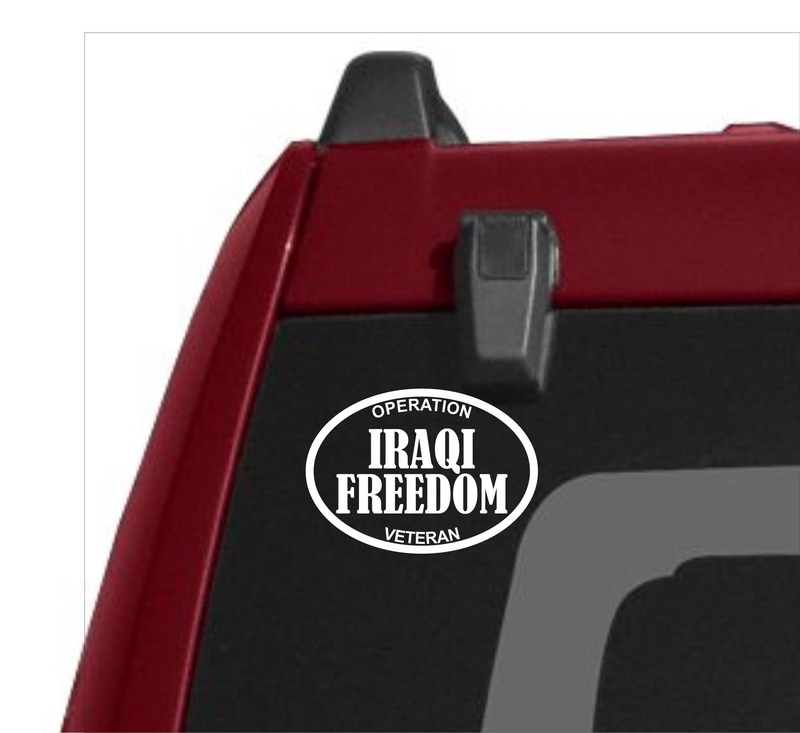 Great for you car, truck, RV, boat, fridge, laptop, etc. Easy to apply and all orders will receive application instructions. Waterproof and weather resistant. These are removable but not reusable. Very durable in any environment! Approx size: 3.5" x 4.75"
****ALL customers will receive a FREE surprise gift as a "Thank You"